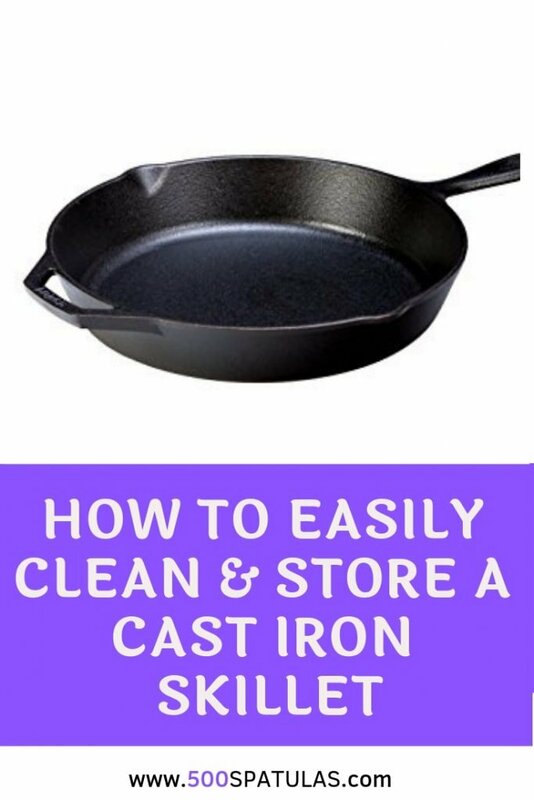 Every home cook will tell you that you must own a cast iron skillet–especially if you live in an apartment and can’t grill easily. So I used it, but how do I clean it???? Some people will tell you that they never clean theirs, and I think that’s misleading. What they probably mean is that they don’t put soap on it. 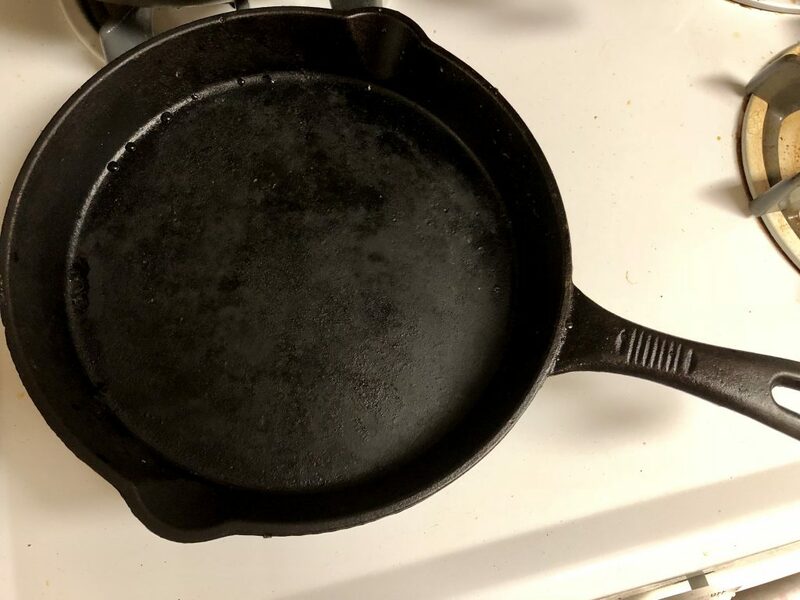 There are so many misconceptions out there, I wanted to write out the method that I like to use, so here we go: How to Clean a Cast Iron Skillet. While the pan is hot, generously coat the pan with salt. Use a potholder to move the hot pan to the sink and before you turn the water on, use a heavy brush to scrub the pan. 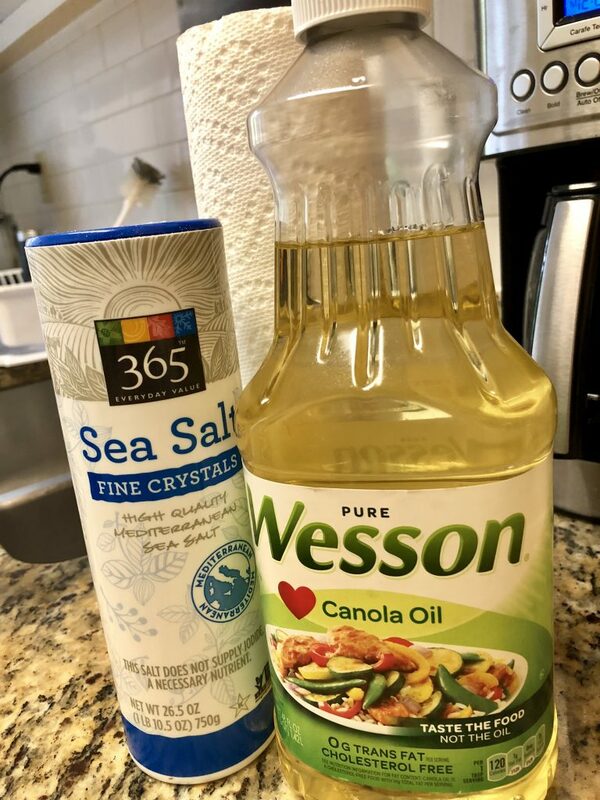 The salt will soak up most of the oil and will grab any food particles that stuck during cooking. Rinse out with water. Once clean, put the wet pan back on the stove and turn the burner on to dry the pan. 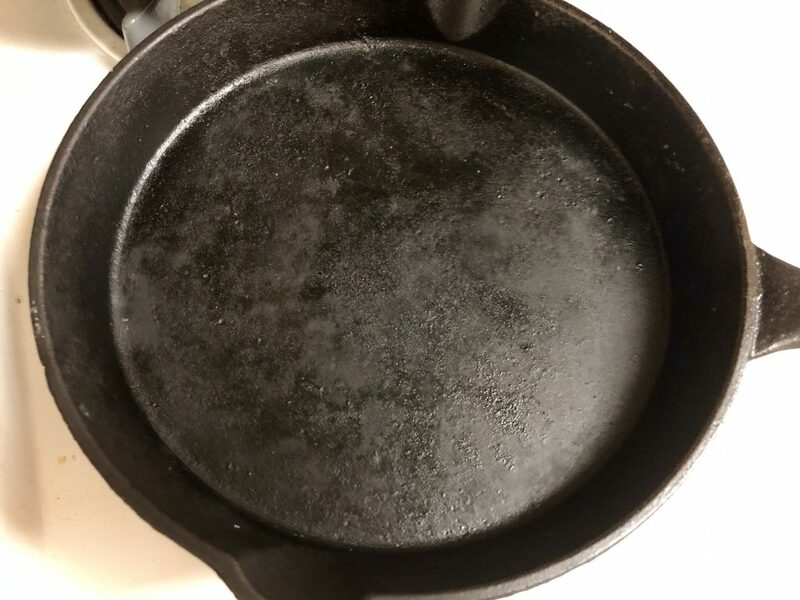 If you leave the pan to air-dry, it can cause your pan to rust. Let the pan cool completely. Fold a paper towel into a square and put a drop of vegetable oil on it. 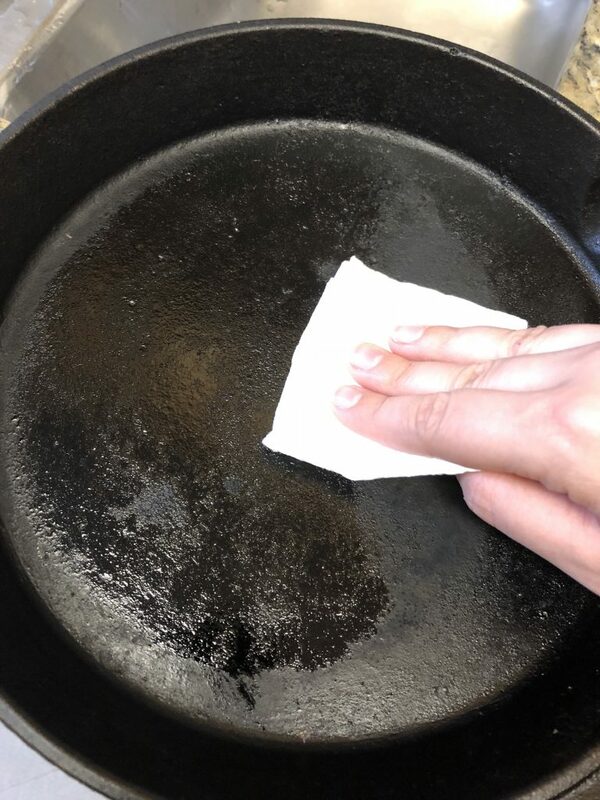 Sweep the paper towel over the bottom and inside sides of the pan to lightly coat. 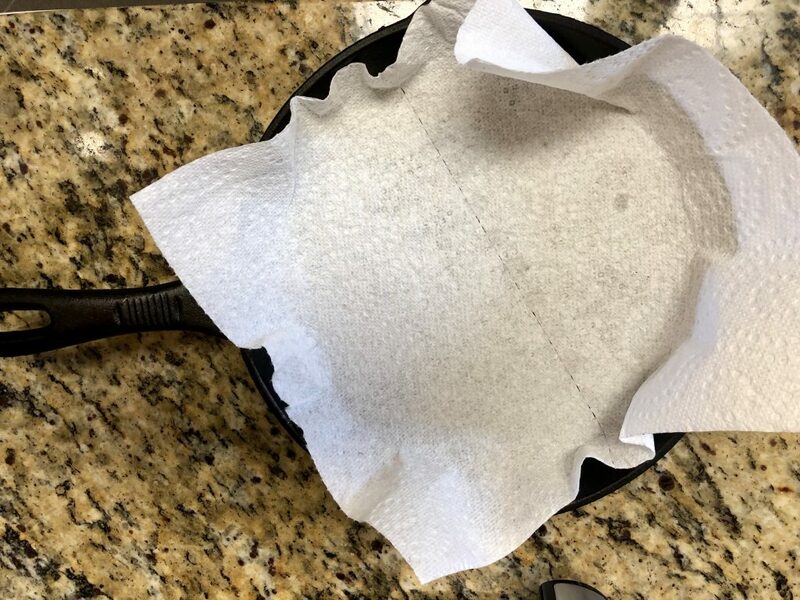 Cover the pan in a dry paper towel and put away for future use! And that’s it! Leaves you a nicely seasoned, clean pan. See? 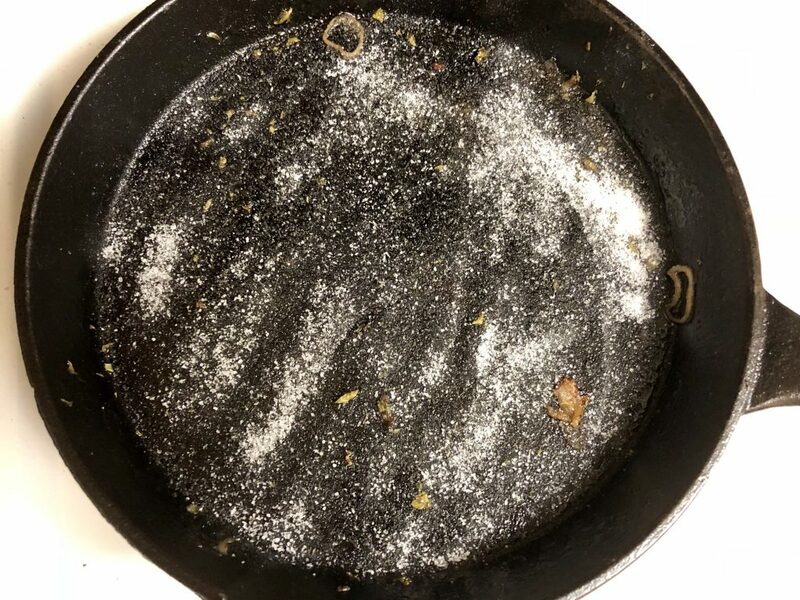 No more mysteries about how to clean a cast iron skillet! Talia, I love this blog post! My husband loves the iron-cast skillet and uses it constantly. This sounds so simple and easy. Thank you! Fabulous! It is so easy and is a life-saver 🙂 Happy cooking!